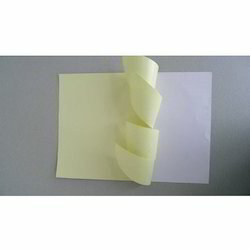 We are a leading Manufacturer of gumming sheet, matte vinyl gumming sheets, hot melt gumming sheet, back cut gumming sheets, digital gumming sheets and self adhesive labels from Delhi, India. 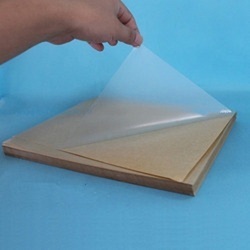 We are renowned as a leading name engaged in manufacturing and supplying an excellent range of Gumming Sheet. These are manufactured from high quality raw materials and can be customized precisely as per customer's specifications. The gumming sheets offered to clients have got usage in printing advertisements and gripping areas. These Gum Sheets are widely known for its durability and quality. Our products are highly appreciated by our clients in the market. 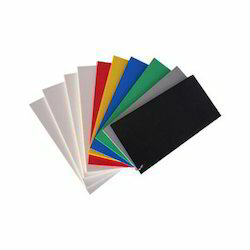 We are amongst the most reliable manufacturers and suppliers of Matte vinyl gumming sheets. These gum sheets are available in various standard as well as special sizes like 20" x 30", 18" x 23", 23" x 36", 12" x 18", 13" x 19" etc. We manufacture these matt vinyl gum sheets in various release options ranging from 60 gsm to 120 gsm. Our matte vinyl self adhesive sheets are perfectly matte and have virtually a non glossy surface finish. These matt vinyl self adhesive sheets are used for making vinyl labels, non tearable labels, water proof labels etc. 6. Suitable for even the most demanding surfaces. 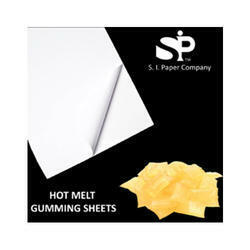 We are renowned as a leading name engaged in manufacturing and supplying an excellent range of Hot Melt Gumming Sheet. These are manufactured from high quality hot melt adhesives and can be customized precisely as per customer’s specifications. These Gumming Sheets provide very strong adhesion to even the most difficult surfaces and demanding surfaces. The gumming sheets offered to clients have got usage in printing advertisements and gripping areas. 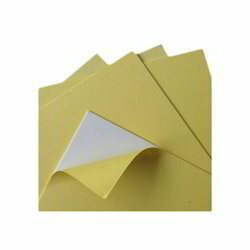 These Gum Sheets are widely known for its durability and quality. Backed by a rich industrial experience, we are engaged in bringing forth a comprehensive variety of Back Cut Gumming Sheets. Backed by rich industrial experience, we are engaged in bringing forth a comprehensive variety of Digital Gumming Sheets. 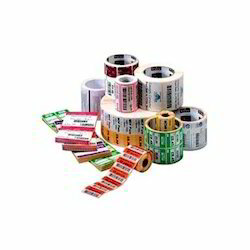 We are engaged in the manufacture and export of high-quality Self Adhesive labels. They are manufactured at our world-class infrastructure facility in adherence to industrial quality guidelines and are exported to our overseas clients in efficient packaging. They are highly acclaimed amongst the client base for their eco-friendly. Made using recycled paper as raw material, they help us contribute our bit to the reduction of carbon footprint. They are priced reasonably to suit the client’s budget constraints. 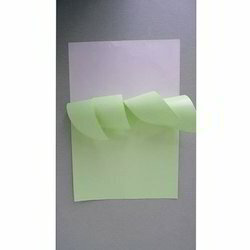 They have strong adhesive properties and are easy to stick on to any surface easily. Backed by rich industrial experience, we are engaged in bringing forth a comprehensive variety of Half Cut Gumming Sheets. S. I. Paper Company have established themselves as a prefered supplier for 12 x18, 13 x 19 inch Gumming Sheets or Self Adhesive Sheets or Pre Gummed Paper for digital printing by laser printer. Our Digital Gumming Sheet works smoothly with all major digital machines be it Konica Minolta, Xerox, Hp Indigo or any other similar machine. 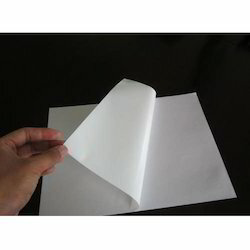 Our top quality release paper of 85 Gsm and 130 Gsm with Ultra White face paper and premium quality permanent adhesives, is amongst the best products found in this field. Backed by the team of skilled professionals, we are manufacturing and supplying a wide assortment of PVC GUMMING SHEET that is highly durable, water resistant, very tough and flexible. We are involved in manufacturing, trading, distributing and supplying excellent quality Silver Foil Gumming Sheet. Our offered Silver Foil Gumming Sheet For Printing is widely appreciated by our clients which are situated all round the nation. 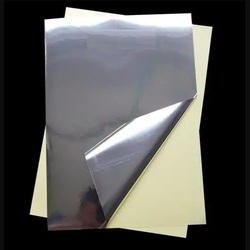 We offer Silver Foil Gumming Sheet For Printing at most affordable prices.